Jose Mourinho has challenged Paul Pogba to give his best for Manchester United after winning the World Cup with France as he questioned the Frenchman's focus at Old Trafford. 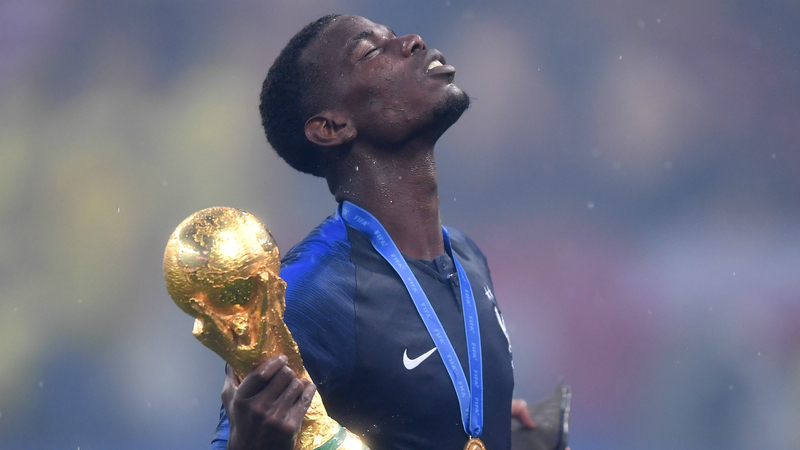 Pogba has struggled for consistency at United but the star midfielder played a key role in France's World Cup triumph in Russia. The 25-year-old – who has been linked with a return to Italian champions Juventus – scored in the final as France accounted for Croatia 4-2, capping a fine individual campaign at the World Cup. Pogba's performances came after a difficult campaign in Manchester, where he was benched for both legs of United's Champions League last-16 defeat to Sevilla, while he was substituted in Premier League losses against Tottenham and Newcastle United. That sparked speculation over his United future amid claims of a falling out with manager Mourinho, who has suggested the former Juve player can lose his focus at the Theatre of Dreams. "You are in the group phase, you go to the last 16, to the quarter-finals, to the semi-finals, to the finals. This feeds the motivation. This feeds the concentration of a player. Pogba scored six goals and tallied 10 assists as United finished second in the Premier League last season.